Pro Team Sponsors: What Do They Do? You probably know what Trek, Cannondale and Giant make but do you know your Soudal from your Jumbo or what Lampre does? All year people will be naming and even cheering these brands. Ag2r La Mondiale: an insurance and savings company. Note the team name is not two sponsors but Ag2r La Mondiale is the name of one company. The mutual firm offers retirement savings, healthcare insurance and other forms of social insurance. And why are the shorts brown? Well the corporate logo is blue and brown, “sky and earth” but note the company’s Parisian headquarters are located at 35 boulevard Brune. Brown Boulevard. Astana: not a company but a city and a nation. 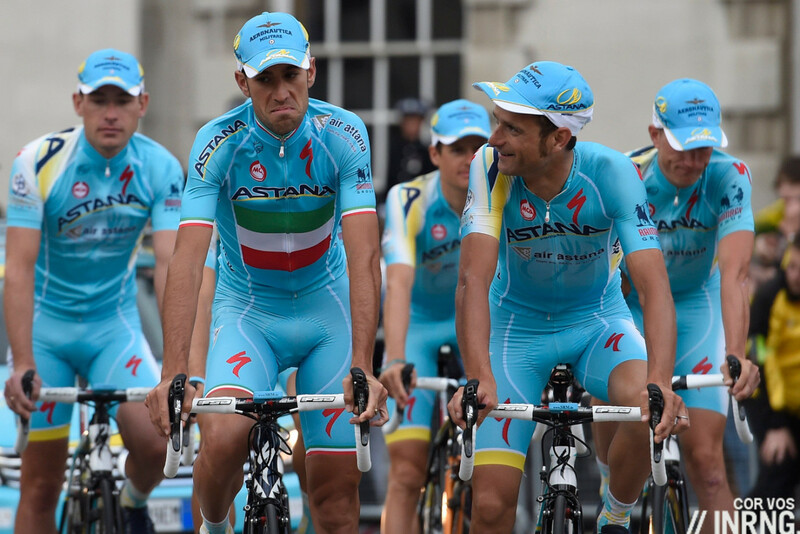 Astana is the capital of Kazakhstan and the team is funded by the state to promote the country, a bid to counter the “Borat” image and pesky reports about dictatorship and dire press freedom. They also fund motorsport and more. The jersey features the names of various state-owned companies in mining, energy and more. BMC Racing Team: a brand of Swiss bicycles. The team is registered in the US but funded by the Swiss francs of Andy Rihs, a billionaire cycling enthusiast who owns BMC and other bike brands. Registering the team in the US helps the team to tap this giant, lucrative market whilst trading on the image of Swiss quality. Some of Rihs’s other assets feature on the jersey like his La Coquillade hotel. 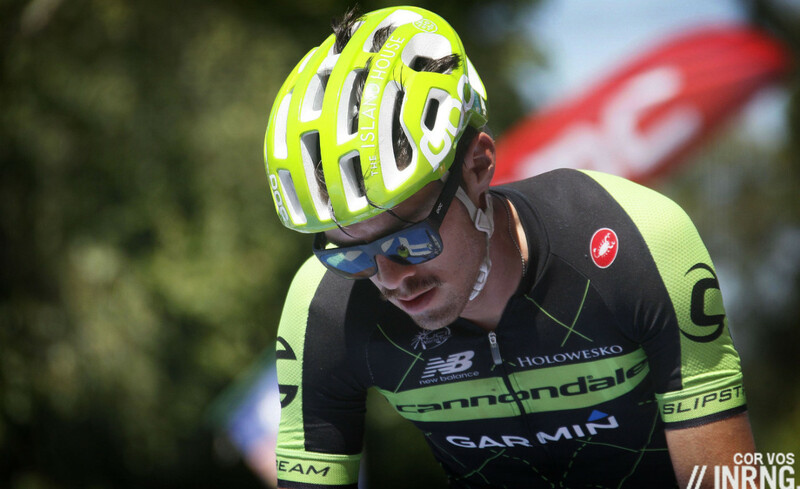 Cannondale – Garmin: the bike brand has had its ups and downs. In the 1990s it supplied bikes to the Saeco team in Italy and was famous for its oversized alu tubing. The company moved into motorcycles, offering innovative lightweight offroad bikes but this was a commercial disaster. The brand was bought by Dorel, a Canadian conglomerate that also owns Sugoi, Schwinn and GT as well as a range of brands supplying infant products like Bébéconfort. Garmin is a US satellite navigation company, although its corporate HQ is in Switzerland. It was founded by Gary Burrell and Min Kao which explains the Gar-Min name. It’s got those POC helmets and glasses plus backing from other supporters like Holowesko, a hedge fund. Etixx – Quick Step: Etixx is a brand of sports nutrition products owned by Omega Pharma which also supplies the Orica-Greenedge and Tinkoff-Saxo teams. Quick Step is a brand of laminated flooring that might seem indissociable from Belgian cycling but it belongs to company founded in Amsterdam… New York called Mohawk Industries, a giant supplier of commercial and residential flooring. FDJ: La Française des Jeux is the French state lottery which offers regular draws and scratchcards and explains the four-leafed clover logo on the jersey as well as the team kit resembling the French national flag which, look carefully, has one of the fewest number of logos on display. 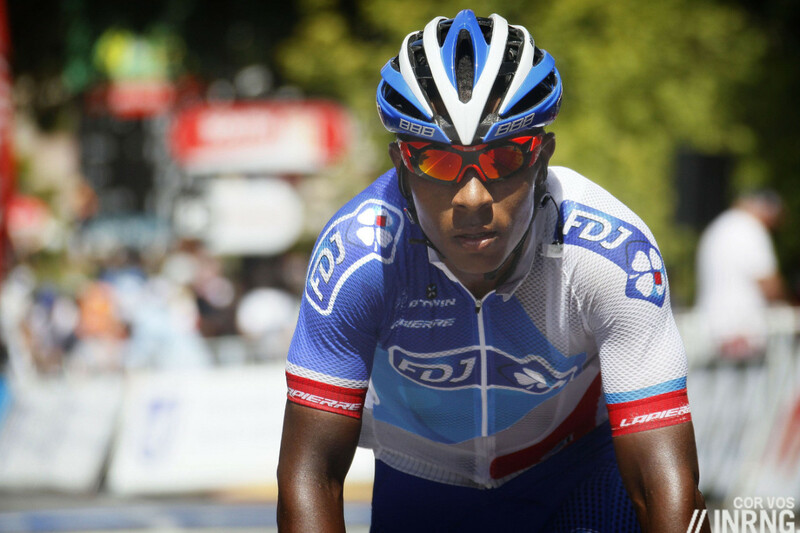 A fixture in the sport since 1997, FDJ is visible in cities, towns and villages with the blue logo hanging outside many a café and tobacconist shop. 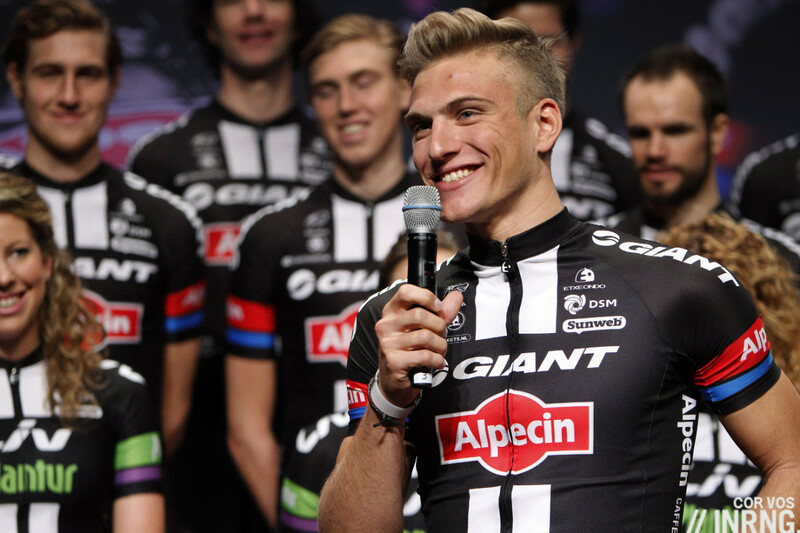 Giant – Alpecin: Giant is appropriately named because the Taiwanese firm is the world’s largest manufacturer of bicycles. Alpecin is a German brand of shampoo with its caffeine content as unique selling point. They’ve signed more backers recently like Sunweb, a tour operator, familiar to cyclo-cross fans. 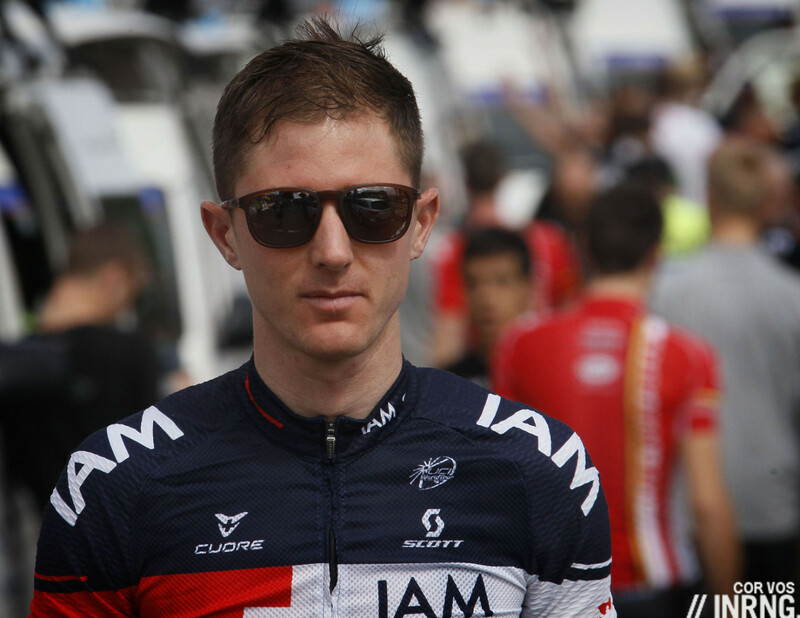 IAM Cycling: not a verb nor a brand of pet food, IAM is a Swiss fund manager and the smart kit reflects their national identity. As mentioned the other day in “The Wealthiest People in Pro Cycling”, Swiss financiers tend to associate with tennis, polo or equestrian sports but IAM prides itself on zigging when others zag. Note the other Swiss brands like Scott, DT Swiss and more. Katusha: Unlike other teams Katusha isn’t named after a sponsor. It’s the abbreviated version of Ekaterina, Catherine in English and a famous Soviet wartime folk song in Russia which still gets patriotic hearts stirring today. In English you’d call them Team Kathy but there’s nothing diminutive about the sponsors: Gazprom and Itera are rival energy giants and Rostec is a Russian state agency designed to fund and control various technology and defence companies making this a team funded from the heart of the Kremlin. Lampre – Merida: Lampre make rolled pre-coated steel. The name itself derives from the abbreviation of lamiere meaning a sheet of steel and pre-coated: Lam- and -pre. If you’re still unsure what this is take a look at your washing machine or refrigerator and the steel encasing it. Also check your filing cabinet, garage door or the steel shelving in a shop. Owned by the Galbusera family Lampre have been in the sport since 1991 with Colnago-Lampre and then in 1992 the Lampre team was born with the blue and fuchsia jersey that lives on today as the firm has expanded with factories worldwide, a reason behind the internationalisation of the squad, for example they have big operations in Portugal so they signed Rui Costa. Merida is a Taiwanese bike manufacturer linked to Specialized that’s keen to make a name for itself in the pro peloton. Lotto – Soudal: Lotto is the Belgian state lottery. 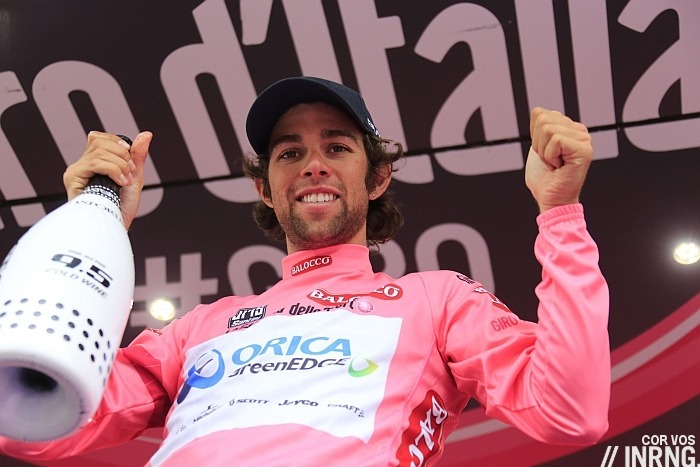 Founded in 1934 to raise funds for the sick in the Belgian Congo, the company has continuously sponsored a pro team since 1985 although at times it has been the number two name, for example Omega Pharma-Lotto. Soudal is a Belgian manufacturer of adhesives, caulks and silicones for construction and DIY founded and owned by Baron Vic Swerts. LottoNL – Jumbo: the lottery in the Netherlands. The team is using the LottoNL term but the sponsor is simply Lotto to locals, presumably to differentiate from their Belgian rivals. 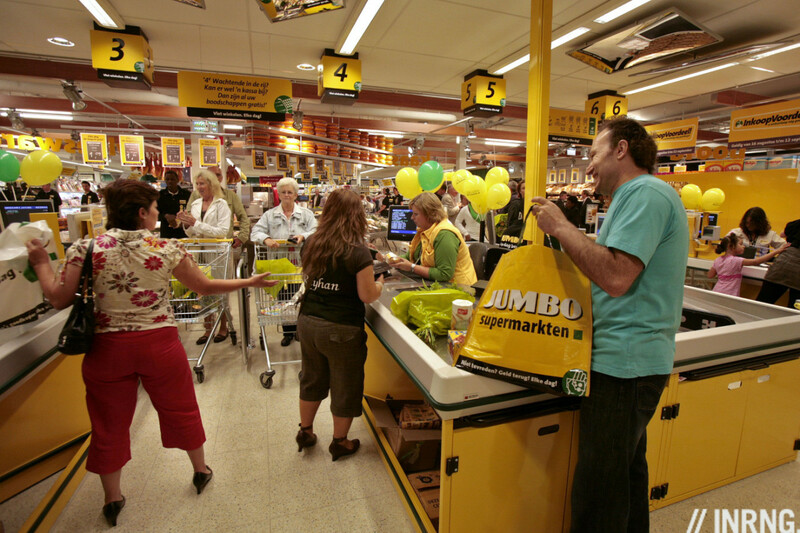 Jumbo is a chain of supermarkets in the Netherlands which has, via dealmaking, grown to become the country’s second largest chain. This is more than a cycling team, a joint venture with a speed skating team. Skating is very popular in the Netherlands. Orica – GreenEDGE: Orica is an Australian company that makes explosives and other speciality chemicals for the mining industry. It bought Nobel, the Norwegian dynamite firm several years ago. Australia has been a big part of the global mining boom and the company does not have a great reputation with explosive disasters as well as several fines for environmental damage but sponsoring a cycling team is seen as a way to put something back. Greenedge meanwhile is a holding name as the team searches for a co-sponsor, green as in the Australia but also the environment and edge as cutting edge. 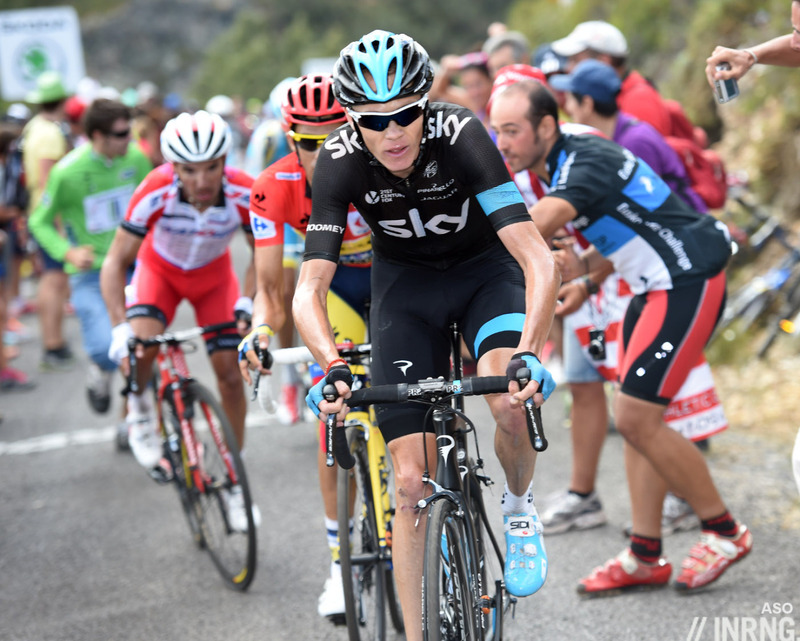 Team Sky: Sky is a satellite television channel with operations in Britain, Germany and Italy. The brand is ultimately controlled by Newscorp and the cosmopolitan Murdoch family. The team ownership is split 60%-40% between BSkyB, the UK operations of Sky and US firm 21st Century Fox respectively which explains their presence on the jersey. Tinkoff – Saxo: Tinkoff is a Russian bank and credit card issuer that operates online, copying the model of Capital One in the US but suffering now from the Rouble crisis. Saxo is a currency brokerage from Denmark that offers software platforms to the banking industry. 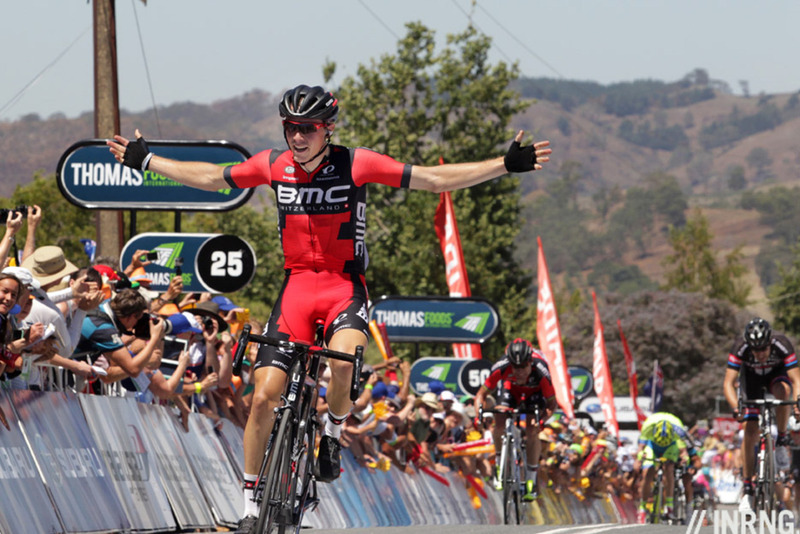 Trek Factory Racing: US bike brand Trek is behind this team. Note the wider sphere of Trek Factory racers with triathletes and mountain biker riders all in the same livery even if they’re not registered to the World Tour squad. As you’d expect the team uses full Trek bikes and associated brands like Bontrager components and clothing. Androni Giocattoli – Venezuela: giocattoli is Italian for toys and Androni makes a range of plastic toys under licence including a range Hello Kitty toys. Venezuela is of course the South American nation and the team has recruited several riders from here. If a pro cycling jersey is real estate then team manager Gianni Savio goes for the Hong Kong approach of crowding as much in as possible. Bardiani Valvole – CSF Inox: two names but the same company, Bardiani makes steel valves for the food industry and CSF produces steel products for food hygiene use. The next time you see video of a food factory with liquids being pumped and poured as products move along conveyor belts it might feature Bardiani’s valves or CSF’s steel piping. Bora – Argon 18: Bora a German manufacturer of kitchen equipment like extractor fans which derives its name from a wind while Argon 18 is a Canadian bike brand. Bretagne – Séché Environnement: Bretagne is the cycling-mad region of north-west France that juts out into the Atlantic and its regional government is funding the team. Séché is a recycling company that manages waste and other products. The team has taken on Fortuneo, a French bank too which might assume sponsorship in the future. Caja Rural – Seguros RGA: Caja Rural is a Spanish banking brand, it covers over 70 different small banks run on a cooperative basis. Seguros RGA, “RGA Securities”, is a financial services brand belonging to Caja Rural. It’s Spain’s number two squad and guaranteed of an invite to all the big races in Spain. Like Bardiani-CSF it’s a sneaky example of including extra sponsors in the team name because all squads are allowed to have two sponsor names. CCC Spradi Polkowice: CCC is a chain of shoe shops in Poland Eastern Europe while Sprandi is a Russian shoe company with links to CCC. Now you might have just read that a team can only have two sponsor names so what are CCC, Sprandi and Polkowice doing together. I wonder too but Polkowice is the name of the town where the team is from. Cofidis: is a French consumer credit company offering loans in France, Belgium and Spain. It concentrates on the sub-prime segment and has drawn criticism for aggressive tactics. A presence in the peloton since 1997 the team was once one of the world’s top squads but simultaneously a doping madhouse. Today it’s more modest but looking to rebuild with Nacer Bouhanni. Colombia: is a quasi-national Colombian team but the funding is diverse with the national government making a contribution via the Coldesportes (Colombia Sports) agency and then a range of co-sponsors chipping in funding and equipment. A lively team but they suffer from seeing the best national riders poached for other teams. Cult Energy Pro Cycling: a Danish energy drink. Drapac Professional Cycling: Drapac Group is a specialist property investment and development company that has surfed the rising tide of real estate prices in Australia. But team founder Michael Drapac is more than a sponsor, the squad is keen to help riders develop with studies and learning other skills, a mission a few other teams might support but few shout about in public. Europcar: is a privately-owned vehicle rental company with operations around the world. The green brand is a common sight at airports and beyond and visible for the last time in the pro peloton in 2015. In France you can spot the likes of Thomas Voeckler painted on the side of rental vans. Other sponsors include Harmonie Mutuelle, a health insurance provider and Fleury Michon, who do canned vegetables. 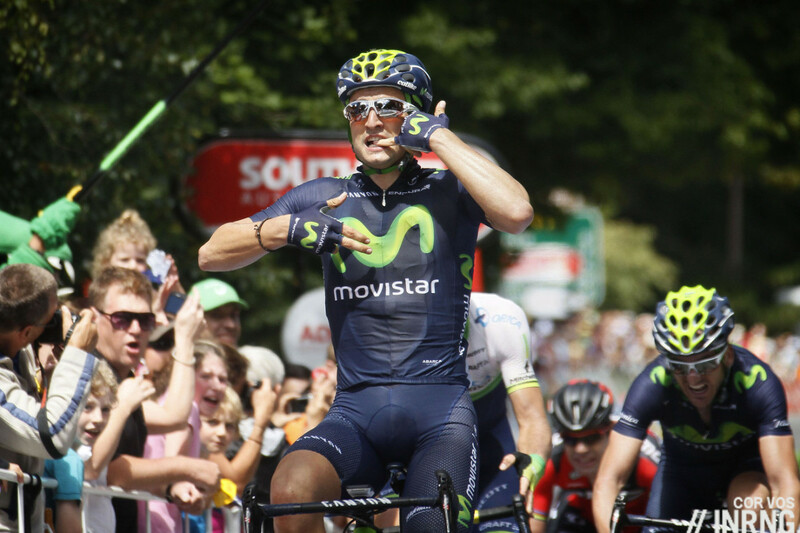 MTN – Qhubeka: MTN is a mobile phone operator from South Africa with operations across Africa and beyond. The continent often lacks the infrastructure of traditional telecoms companies and MTN has grabbed a big share of the mobile market. Qhubeka is a charity project in South Africa to get people cycling. It helps rural communities by giving bicycles to children in return for work done to improve their environment and their community, this way the kids can get to school or provide improved access to healthcare. Nippo – Vini Fantini: Nippo is a Japanese supplier of paving materials and tarmac supplying car parks and roadbuilding projects while Vini Fantini is an Italian wine business. Novo Nordisk: Novo Nordisk is a Danish pharmaceutical company with a range of insulin products and it is funding a pro team comprised only of diabetic athletes as a way to show the condition need not prevent an active life. Roompot: a Dutch company running holiday parks and campsites. Rusvelo: is essentially the Russian track cycling program with a road team to allow the endurance athletes to race on the road and is funded by the Russian government. Southeast: the old “fluo yellow” team is now in grey to represent Zhejiang Southeast Space Frame Co, a Chinese construction steel firm. Topsport Vlaanderen – Baloise: Topsport is a Flemish sports foundation funded by the regional government and is helping younger riders in the pro careers. Baloise is a Swiss insurance and savings company. United Healthcare: a US healthcare insurance provider, the company also owns Optum Health which itself sponsors a pro team, interesting because teams with the same owner aren’t normally allowed to race together but perhaps nobody has noticed? Wanty – Groupe Gobert: Wanty is a mini-conglomerate with activities ranging from quarrying to civil engineering and roadsurfacing, all united by large public works and the raw materials needed for these. Groupe Gobert supplies building materials like insulation or paving stones. ORICA-GreenEDGE is a values-driven partnership between two organisations that share an Australian heritage and compete on the global stage. GreenEDGE is the name of the cycling team owned by Gerry Ryan (Owner of Jayco caravans etc). They’re owner and effectively co-sponsor of the Team. I wonder why Gerry doesn’t do a deal with Jayco USA (a separate company) to put up some petty cash and throw the Jayco brand on the jersey, at least until he can find another sponsor. Jayco is already on the left breast of the jersey and the back of the shorts…. Thanks, I’ll update the piece above. They may have the rights but the company is Russian and they own most of the intellectual property. Interestingly the firm is actually run by Indians! Thanks – I copied the UCI list and it looked like they weren’t there but they’re on a separate page so added them above. The United Healthcare team is owned by Momentum Sports Group LLC, not by United Healthcare, who is a sponsor. Optum is managed by Circuit Global Sports Management (not sure if they own them or not). While there is a common parent sponsor, the ownership and management of the teams are separate, so there is no violation of the rule. Go to a UHC tent at your next bike race. They are very active in promoting healthy lifestyles and prevention. Better for the bottom line if your customer base is healthy and proactive in their healthcare as opposed to unhealthy and needing loads of medical care. Have also become a big fan of Novo for similiar reasons. Plus, they are the ultimate underdogs ! Correct! further, UnitedHealth Group owns two separate companies, OptumHealth, and UnitedHealthcare, who sponsor the teams. So, yes, same parent company, but different actual paying agents and title sponsor companies. Funny enough, the two sports managment groups do not get along at all. in addition, they also both sponsor women’s teams. Bike brand Scott being Swiss? That sounds weird. Their name used to be Scott USA. What is their link to Switserland? Do I have to be the first to make the quip that EQS have particularly appropriate sponsorship as Etixx Protein bars taste like floorboards? Re: Garmin or Gar-Min. well i just learned something. thanks. 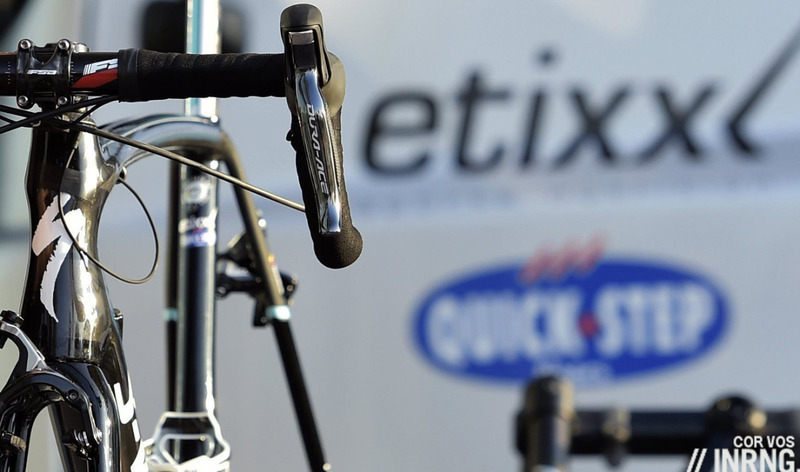 Interesting photo for Etixx – Quick Step and especially speaking of sponsorship as they’re to ride FSA’s electronic groupset where the photo is of Dura Ace 9070. When I first saw Etixx I thought it was an internet concert ticket scheme while I can’t help but imagine hungry dogs and cats every time I see IAM (they just need the ‘s) when I see that jersey. Overall I wish they all would ditch the black (except for shorts) so it would be easier to tell them apart in the race. The new MTN-Qhubeka kit at least should be very distinctive in the peloton? The new MTN-Qhubeka jersey that’s more than 50% black, you mean? Yeah, that’s it. The black’s not so great but the bold white stripe design should make it easy to tell them apart from all the other mostly black kits, no? Those with black have distinct stripes, different markings and even helmets. Everyone should get used to it soon. Just avoid a black and white TV and it’s fine. I did admit to watching some of TDU, which is one of the reasons I wish whomever designs these team kits would think more about their guy’s visibility in the peloton. We lose Cannondale who was hard to tell apart from Bardiani only to get Tinkov in the same color while many, many others continue with variations on black that are tough to tell apart in the helicopter shots. Thoughts on what will happen with Tinkoff with the Ruble being downgraded to garbage status? Tinkoff has already said the currency and sanctions are hurting. Loose talk perhaps but it’s not the exchange rate but the interest rate that hurts Tinkoff Bank. The interest rate is in some ways the price of money, the cost of borrowing a Rouble for a year. Rates have been hiked in Russia in response to the crisis and this means a big rise in the price of money, the raw material of a credit card company like Tinkoff. So it’s bound to hurt, Tinkoff’s falling stock price reflects this. Hopefully the business continues but even if it doesn’t, Mr Tinkov remains so wealthy he can step in and cover the team for fun if he wanted. I would only add that currencies are not rated. Perhaps you are referring to the downgrade of Russian treasury debt? My only comment is that this sort of background information is EXACTLY why I come to this site every morning before I start work. Well, that and the great sense of humor. Thank you InnerRing for more depth and more grins! Come back Castorama, proper belt n braces approach. How come the guy on the motorbike needs stabilisers? He’s not goinng to win any races like that. lots of local sponsors for a sport that is trying to market itself as Global ? The Americans aren’t going to shop in a Dutch supermarket, the Italians aren’t going to buy French lottery tickets. I always put off reading this piece every year thinking it won’t hold my interest but how wrong I am (every time you’d think I’d have learnt by now). It’s a wonderful insight into the interdependencies and motivations within the pro peloton and not something you’ll ever see in the mainstream media.